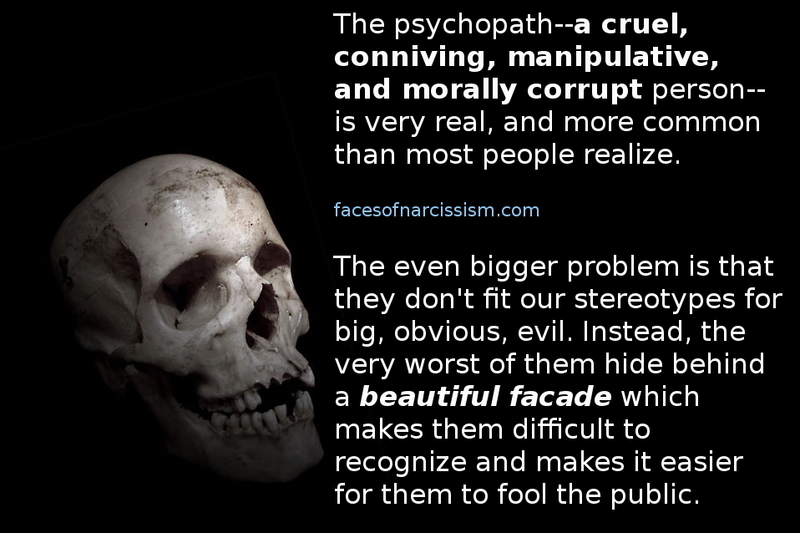 The psychopath–a cruel, conniving, manipulative, and morally corrupt person–is very real, and more common than most people realize. The even bigger problem is that they don’t fit our stereotypes for big, obvious, evil. Instead, the very worst of them hide behind a beautiful facade which makes them difficult to recognize and makes it easier for them to fool the public. This. Sometimes the most evil people are not outright evil; they tend to hide behind a mask.